Collecting employee, or spouse, feedback on these programs will provide insight to allow an employer/ consultant to know if programs are appreciated, or if modifications are required in order to achieve the desired outcomes. These goals need to be very specific and targeted to address the exact needs of your population, measuring what is most likely to have an impact on a person’s long-term health. This provides specific direction for your wellness providers, but allows an employer/consultant to monitor the impact throughout the year to continue to redirect communication and services to help provide the best outcomes. The first step in any program is to engage the intended audience. UBA’s Health Plan Survey finds that 54.6 percent of employers with wellness programs use components such as on-site or telephone coaching for high-risk employees, an increase of 7.5 percent from last year. Once you target the intended audience, engagement of those at risk is critical. 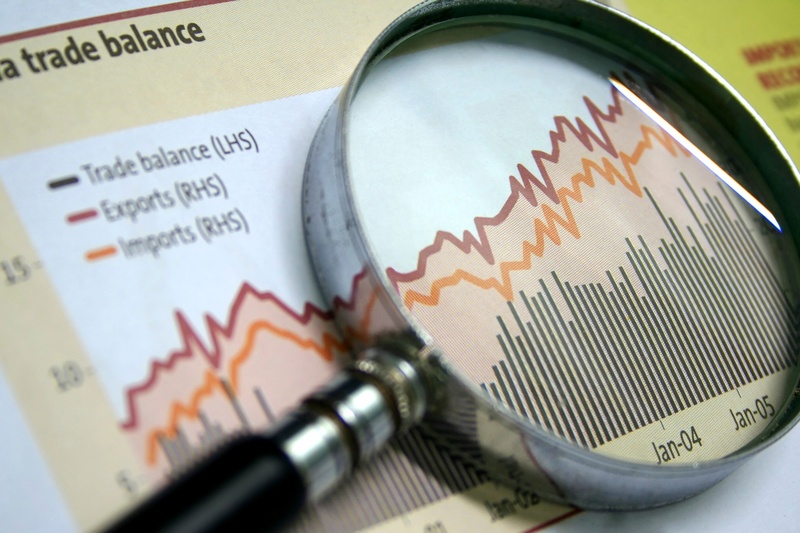 Monitoring this subset of data can make sure the vendor resources are directed appropriately and, many times, identify areas where the employer may be able to help. Of course, engagement is only the first step and the intended outcome is to reduce risk or slow down the progression of risk increasing, that is really the final outcome desired. The following illustration allows employers and the vendor solution to monitor the true impact of the program by reviewing the risk control, or improvement based on program participation. Although many employers are interested in helping their employees become healthier, the reality is these efforts have to help reduce medical costs or increase productivity so these efforts are sustainable. Since, to date, few employers have data on productivity, the analysis then is focused on reducing medical spending. 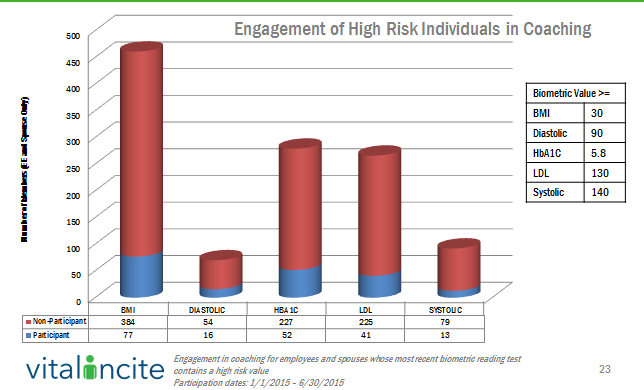 The correct analysis depends on the size of your population and the targeted audience, but a general analysis to determine if those engaged are costing less than persons who have similar risk on your plan would look something like the analysis below. If your program is targeted specifically on a disease state, then the impact on the cost to care for that disease state may be more appropriate. In the example below, the employer instituted a program to help asthmatics, and therefore, the analysis is related to the total cost to care for asthma comparing the year prior to the program to the year of the program. In this analysis, the impact is very clear. The employer anticipated first year savings due to high emergency room (ER) utilization for persons with asthma and the report proved that along with ER utilization declining, the total cost of care for asthma significantly declined. In summary, having a clear understanding of the expectation and desired outcomes and monitoring that impact throughout the year, we believe, drives better outcomes. When we first started analyzing outcomes of programs, the impact of many programs were far less impressive than vendor reports would allow us to believe. That false sense of security is not because they were trying to falsify information, but the reports did not provide enough detail to fully illustrate the impact. Most vendor partners don’t have access to all of the data to provide a full analysis and others will only show what makes them look good. But, if you identify the impact you need in order to achieve success, all parties involved focus on that priority and continually work to improve that impact. We believe that wellness programs can have an impact on a population culture, health and cost of care if appropriately managed.